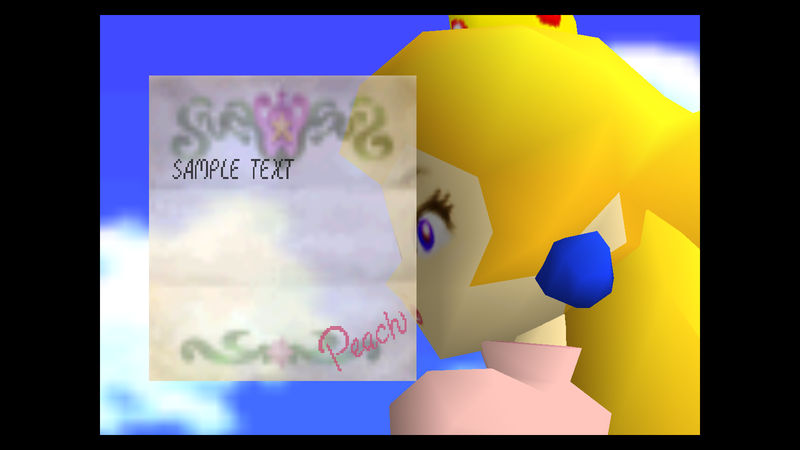 made a tutorial how to text edit SM64, there are already lots of tutorials about text edits out there, but this site doesn't have one and most (all?) tutorials don't include credits text editing. 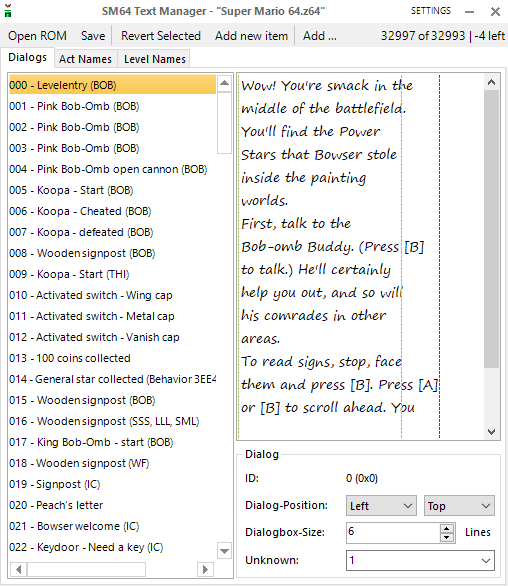 The lines are to indicate the max dialogbox-size. Be sure not to pass the red line, since your text will get cut off if you do so. You can also switch between dialogs, act names and star names using the top left buttons. Save saves you rom. I'd recommend saving regularly just to be sure. Revert selected reverts the text to what it was the last time saved. The add, add new item and settings button are mostly for advanced ROM hackers, you don't really use them in text edits or small rom hacks. Be careful not to go over the size limit in the top right. You can just type on the right side, you can't delete anything, just start from the left and add 00 on the left for empty space. Do not use the . on your keyboard, add 00 on the left side, otherwise it will show . at the credits (unless you want a .) You should leave the numbers and not overwrite them. 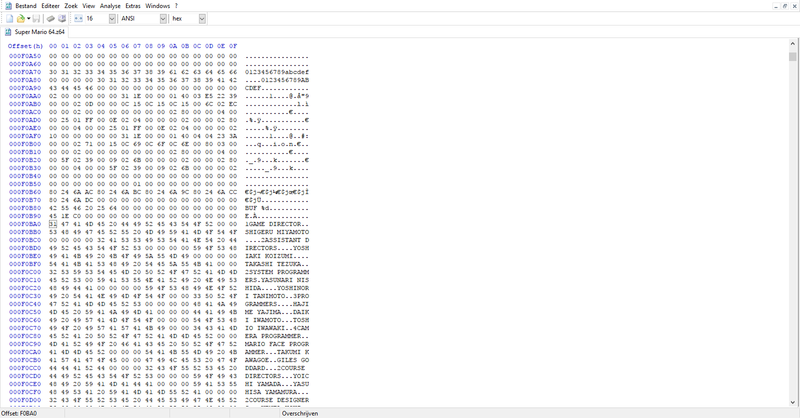 When saving in HxD also saves a backup in .bak form. I'd recommend making a normal backup if you don't know how to restore this or if you use a program without backups.